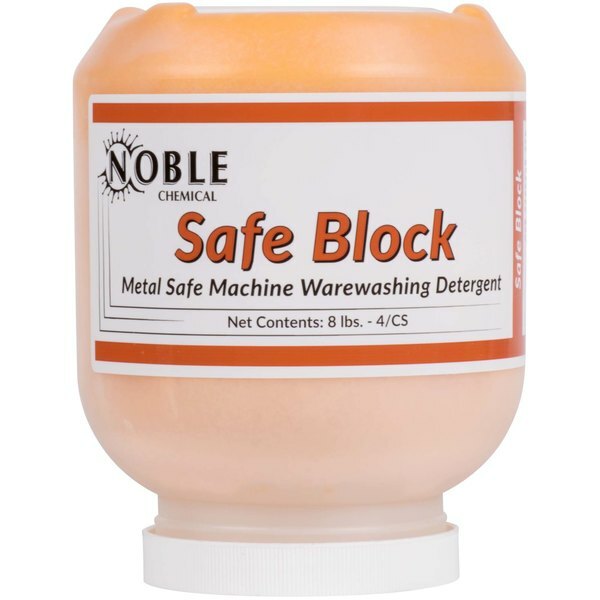 For the best in ware-washing detergent, choose this Noble Chemical Safe Block metal safe machine ware-washing detergent. Designed to get your dishes sparkling clean, this low suds detergent removes grease and food in any water conditions. Safe to use on all of your dishes, including metal, this super-concentrated, long lasting dish cleaner comes in disposable dispenser jars for your convenience. Get your dishes to shine again and keep the back end of your business running smoothly with this powerful detergent.